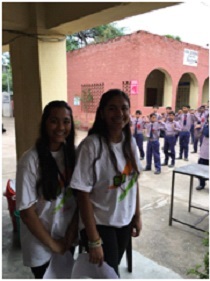 Click the following link to view the post-internship report by Priya. Post-Internship Report by Priya Merchia. Rally is located in sector 12A of Panchkula. Panchkula is a small city located in Haryana; where the district consists of the cities Chandigarh, Panchkula, Mohali, and Zirakpur. Panchkula is well recognized for its natural beauty, many wonderful gardens, and various temples. 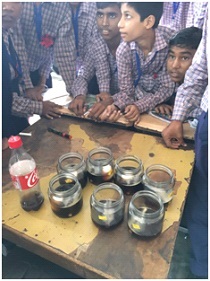 Rally Middle School is in the Rally Village, Sector 12a, Panchkula, Haryana, India. There are total six teachers in the entire school, two administrative staff, and one principal. Each sixth, seventh, and eighth grade has two classes which creates a total of about 210 students in the whole school. Priya has donated $300 to support the school. 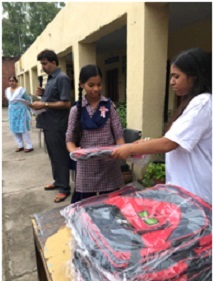 Bighelp has provided 35 school bags to students for carrying their books, notebooks, binders and other school supplies.